Warrnambool is a regional centre and former port city on the south-western coast of Victoria, Australia. Take a break from the city and head to Loch Ard Gorge and Griffiths Island. 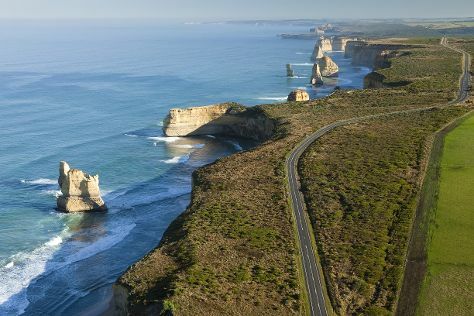 Explore Warrnambool's surroundings by going to Port Campbell (Port Campbell National Park, London Bridge, & more). The adventure continues: see the interesting displays at Flagstaff Hill Maritime Village, enjoy the sand and surf at Logan's Beach, look for all kinds of wild species at Thunder point Coastal Reserve, and get impressive views of Tower Hill Wildlife Reserve. For traveler tips, reviews, and more tourist information, read Warrnambool day trip planning website . Sydney to Warrnambool is an approximately 8-hour combination of flight and train. You can also do a combination of flight and bus; or drive. Cap off your sightseeing on the 22nd (Mon) early enough to go by car to Portland. Portland is a city in Victoria, Australia, and is the oldest European settlement in the state. Start off your visit on the 23rd (Tue): examine the collection at Portland Powerhouse Motor and Car Museum, brush up on your military savvy at World War II Memorial Lookout, then stop by Portland Strawberries, and finally visit a coastal fixture at Cape Nelson lighthouse. For maps, where to stay, and more tourist information, read our Portland tour website . Getting from Warrnambool to Portland by car takes about 1.5 hours. In April, plan for daily highs up to 22°C, and evening lows to 10°C. 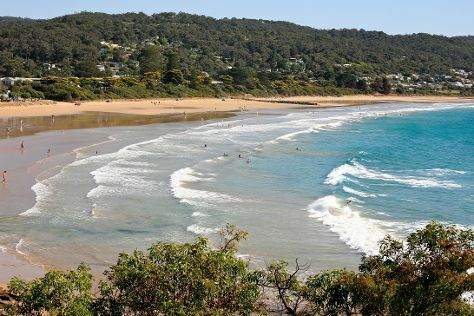 Wrap up your sightseeing on the 23rd (Tue) early enough to travel to Apollo Bay. Apollo Bay is a coastal town in southwestern Victoria, Australia. On the 24th (Wed), stroll through Great Ocean Walk, get a taste of the local shopping with Karmic Goat Soapworks, then tour the pleasant surroundings at Mait's Rest, and finally get great views at Mariners Lookout. To see traveler tips, ratings, reviews, and tourist information, read our Apollo Bay vacation maker site . You can drive from Portland to Apollo Bay in 4 hours. Wrap up your sightseeing on the 24th (Wed) to allow time to drive to Torquay. 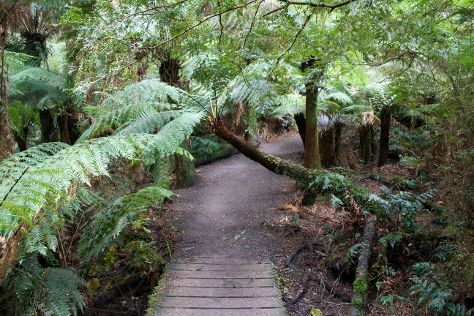 Get outdoors at Lorne Beach and Erskine Falls. You'll find plenty of places to visit near Torquay: Split Point Lighthouse (in Aireys Inlet) and Teddy's Lookout (in Lorne). There's still lots to do: explore and take pictures at The Great Ocean Road, tour the pleasant surroundings at Bells Beach, and stop by Anglesea Surf Centre. To see ratings, reviews, traveler tips, and more tourist information, read Torquay online trip itinerary builder . Traveling by car from Apollo Bay to Torquay takes 1.5 hours. Alternatively, you can take a bus. April in Torquay sees daily highs of 24°C and lows of 11°C at night. Cap off your sightseeing on the 27th (Sat) early enough to travel back home.